American Kidney Services (AKS) offers a complimentary donation pickup service to residents in Atlanta and all nearby areas in Georgia. As a local charity, we want to make it easy for you to help our cause. Our mission is to provide support to organizations that fight kidney disease, and we welcome donations of clothing and other household goods to generate proceeds that go toward funding patient financial assistance programs and other community services for people affected by this life-threatening illness. If you have items you’d like to give to our charity, you can schedule a free donation pickup simply by calling our office or using our online form. One of our uniformed drivers will collect your donation during our regular rotational route, which is operated Monday through Saturday from 6:30 am until dark. You can also bring items to our Atlanta storefront or drop them off at one of the hundreds of drop boxes placed all over the area anytime day or night. And, local Value Village thrift department stores accept donations on our behalf during their normal business hours. To learn more about our donation pickup service, please contact AKS today. 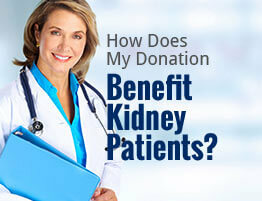 We’re proud to offer residents in and around Atlanta, GA, a convenient way to help people with kidney disease.